Space Systems/Loral announced in July 2013 that it has been awarded a contract to provide a new satellite to Intelsat. 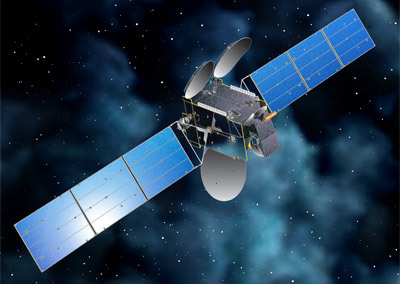 Intelsat 34 will serve the role originally intended for the lost Intelsat 27. This includes providing capacity to meet the growing needs of Latin American media customers, as well as broadband for aeronautical companies serving the busy North Atlantic routes. Intelsat 34, unlike its predecessor, does not include the UHF-band that Intelsat had been unable to sell to its intended customer, the U.S. Department of Defense. Scheduled for launch in 2015, Intelsat 34 will replace Intelsat 805 and Galaxy 11 at 56° West longitude. Intelsat 34 is designed to deliver service for 15 years or longer. Hispasats capacity on the Intelsat 34 satellite is branded Hispasat 55W-2.